The Alto TS310 Active PA Speaker is a professional 10" two-way powered speaker with 2000 Watts peak of bi-amplified Class D Power, delivering excellent audio reproduction. Ideal for Mobile DJs, PAs and Installation. The Alto TS310 is a fantastic all round full range speaker, and part of the third generation Truesonic range from Alto Professional. The TS310 has been designed to exceed the expectation for power and sound quality at this price point. To ensure that the TS310 can play louder and handle more power than the previous generation, Alto have introduced all-new low-frequency drivers. In addition to the new low frequency capabilities the TS310 features a new horn loaded high frequency driver which utilisies a brand new heat sink design to provide excellecnt heat dissipation. This innovative design allows the transducer to perform for prolonged periods at high sound levels. Thanks to the new drivers, the Alto TS310 can safely handle the power delivered by the new 2000-watt peak (1000-watt continuous) amplifier modules which have been designed to deliver power for prolonged periods, making them perfect for longer gigs. The amp module is connected to a new and improved control panel, with clearer controls to assist you with setting up exactly how you'd like in less time. 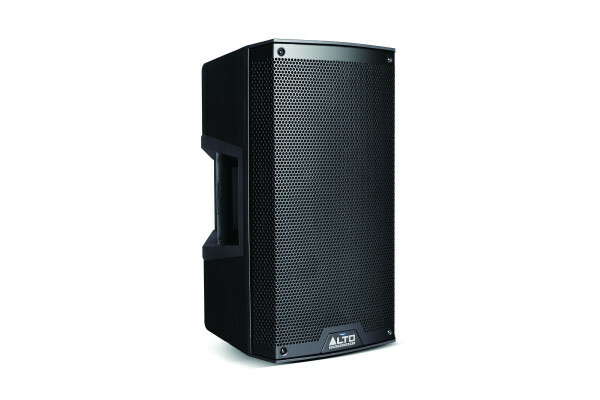 Seen the Alto TS310 Active PA Speaker from another UK Dealer Cheaper?